Hearing is a complex process that uses all three different parts of your ears to convert sound waves into information that your brain understands and interprets as sound. 1. Sound is transmitted through the air as vibrations. The visible outer ear captures the vibrations and channels them through the ear canal. 2. 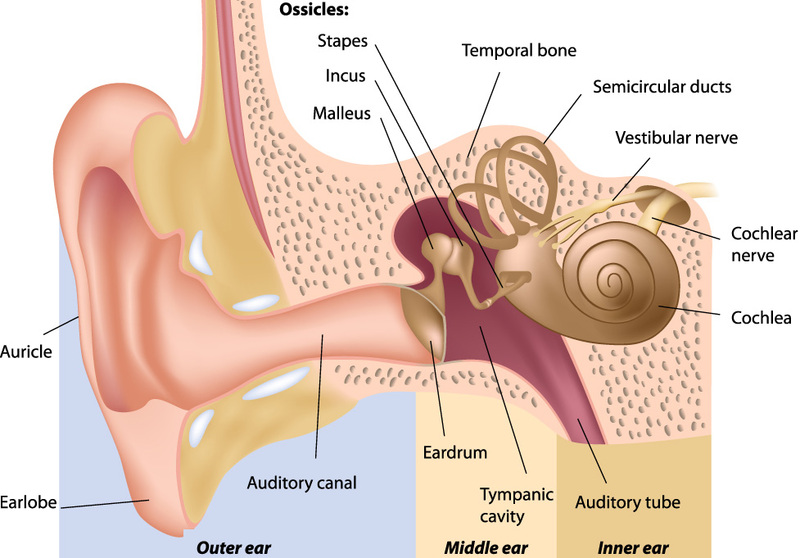 The vibrations then reach the ear drum and are amplified by the three very small bones that make up middle ear (called ossicles). From here, the vibrations pass through to the cochlea, a snail-shaped, fluid-filled tube that makes up the innermost part of the ear. 3. Vibrations cause the fluid to bend tiny sensory hair cells that line the inside of the cochlea. As these hairs bend, they create electrical signals which are picked up by the auditory nerve and travel along to the brain. 4. The auditory cortex in the brain processes and decodes the electrical signals and interprets them as recognisable sound. This is how we understand what we hear. Hearing is one of our primary senses. It provides us with important information that we need to understand and connect with the world around us. It is an essential part of communication with other people and helps to keep us safe by alerting us to potential dangers. Hearing also provides us with enjoyment, whether that be from listening to music or hearing a baby laugh. We have a network of locations that allow us to meet you and provide you with personal hearing aid advice. See map below to view all our branches.